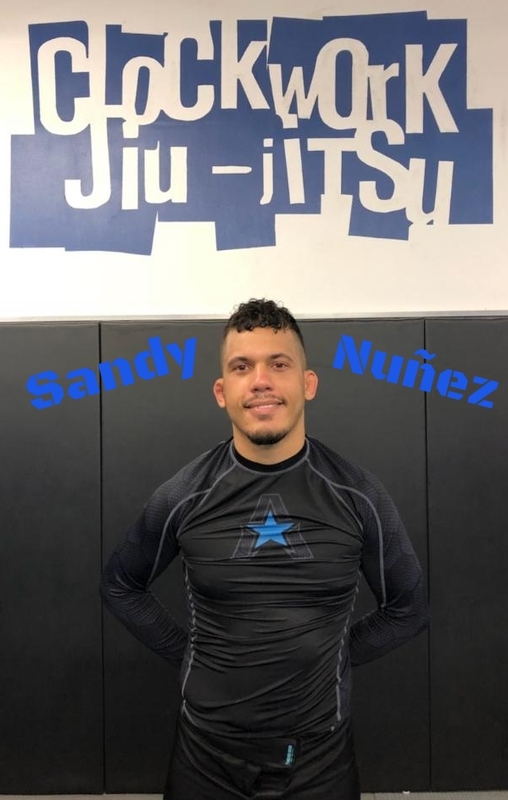 Sandy Nuñez began his MMA training and discovery while studying Economics at Pennsylvania State University. A life long New Yorker, he identifies with the raw lifestyle associated with Jiu-Jitsu. In 2011, he decided to work toward his Black Belt which he currently holds under Josh Griffiths at Clockwork Jiu-Jitsu. Sandy has been competing since he started as a White Belt. During his time training he has also put focused on his hospitality career as a Drink Maker at The Aviary NYC, one of the World’s 50 Best Bars. He still finds time for training hard and doing it all. Sandy hopes to one day move to the mountains and get to rest. For now, he continues to enjoy his time with strong training partners like Gavin Van Vlack. Sandy says he is very excited to be a part of the innovative American Jiu-Jitsu story here at PCC. Coach Sandy is available for both private and semi private sessions and they can be booked by appointment personally.